Brantford mortgage rates are moderately competitive but not nearly as aggressive as the city’s mega-city to the east, Toronto. 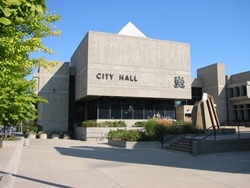 What follows are the lowest rates from providers with offices in or near the Brantford. For providers throughout the province, check the best rates in Ontario. City in Brief: The Southwestern Ontario city of Brantford is sometimes referred to as the “Telephone City” due to the fact Alexander Graham Bell, a former resident, invented the telephone in his father’s home. The city is situated on along Highway 403, which connects it to Hamilton in the east and Woodstock in the west.